The Script, Frightened Rabbit and Gary Clark have been nominated. The final nominees for this year's SSE Scottish Music Awards have been revealed. The Script, Frightened Rabbit and Gary Clark are all up for awards at the prestigious event, which will be held next month at Glasgow's SEC. 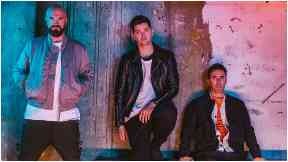 Irish band The Script are nominated for Best International Artist, while Dundonian songwriter, musician and producer Gary Clark is up for the Music Business Award. Previous winners of the Best Live Band Award, Scotland's Frightened Rabbit are nominated for this year's Song Writing Award sponsored by King Tut's Wah Wah Hut. Speaking about the nomination, Geoff Ellis, CEO of DF Concerts, said: "King Tut's is recognised as a launch pad for many artists and as far as Scotland goes, it's a venue that most bands start off in and Frightened Rabbit was one of them back in 2006 when they first played the venue. "Frightened Rabbit's music and lyrics will always hold a special place in our hearts at DF Concerts and King Tut's, as well as in the rest of the Scottish music community." 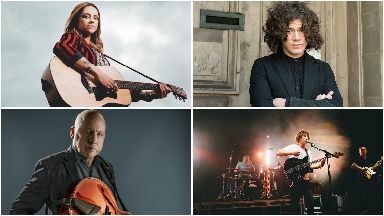 Showstopping: Amy Macdonald, Kyle Falconer, Mark Knopfler and The Snuts will perform. As previously reported by STV News, Annie Lennox and Susan Boyle will be inducted into the Scottish Music Hall of Fame. Other performers on the night include Mark Knopfler, Snow Patrol, Amy Macdonald, Tom Grennan, Kyle Falconer and The Snuts. All funds raised will be donated to Nordoff Robbins Scotland, which will allow the charity to provide music therapists and sessions to those who need it most. The awards ceremony has been the main fundraising event for the charity since 1996. The SSE Scottish Music Awards will take place on Saturday, December 1. For tickets, go to nordoff-robbins.org.uk/sse-scottish-music-awards.